BELIZE CITY, BELIZE, THURSDAY, 17 May 2018 (CRFM)—Caribbean Fisheries Ministers from Member States of the Caribbean Regional Fisheries Mechanism (CRFM) are expected to consider management plans for two vital fisheries, a protocol on small-scale fisheries and a policy on gender equality mainstreaming at their 12th Meeting, scheduled for Friday, 18 May 2018 in Montserrat. At the upcoming meeting, Hon. 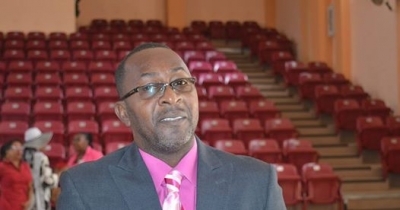 David Osborne, Minister of Agriculture, Trade, Lands, Housing and the Environment in Montserrat, will assume chairmanship of the CRFM Ministerial Council from Hon. 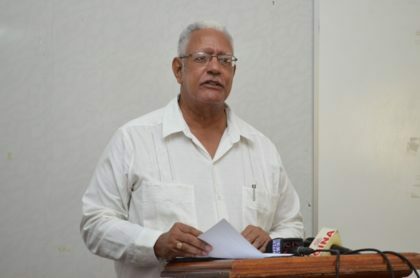 Noel Holder, Minister of Agriculture in Guyana. High on the agenda are two fisheries management plans that the Ministers will be asked to approve: the Sub-Regional Fisheries Management Plan for Blackfin Tuna and the management plan for fisheries conducted using fish aggregating devices (FAD), which is a growing fishery in the region. The Ministers will also consider a protocol developed under the Caribbean Community Common Fisheries Policy (CCCFP) to secure sustainable small-scale fisheries. The main objectives of the protocol are to enhance food security, improve the socioeconomic situation of fishworkers, and achieve sustainable use of fishery resources, through the promotion of a human-rights based approach. In addition, the Ministers will discuss a regional policy aimed at mainstreaming gender equality in fisheries development, and management policies and programmes in CRFM Member States. The Ministerial Council will also consider a proposal to collaborate with the Global Ghost Gear Initiative (GGGI), to look at ways in which the region can access international support and funding to reduce ghost fishing in Caribbean waters. Ghost fishing becomes a concern when gears continue to fish after getting lost during natural disasters such as hurricanes. At Friday’s meeting, the Council will review progress made in implementing its earlier decisions, as well as the overall status and trends in the fisheries and aquaculture sector. Advancements in fisheries research and development, the sustainable use and management of fisheries resources, aquaculture development, climate change adaptation and disaster risk management in fisheries, as well as capacity building and institutional strengthening will also be discussed. The 12th Meeting of the CRFM Ministerial Council will serve to advance recommendations coming out of last month’s meeting of the Caribbean Fisheries Forum, the technical and advisory arm of the CRFM.